Suicide. For most people, this word conjures up images of someone who is extremely sad. Someone so lonely, stressed, or defeated that they’ve decided that they’d be better off dead. Some clinicians might add to this picture related characteristics such as emotion dysregulation, substance abuse, or impulsivity. Some researchers may include a few additional characteristics like psychosis, prior self-injury, or hopelessness. But are these kinds of things truly characteristic of people who will go on to engage in suicidal thoughts and behaviors? And if so, do these things actually cause suicidal thoughts and behaviors? The answers to these questions have major implications for understanding, predicting, and preventing suicidal thoughts and behaviors. Our recent meta-analysis on this topic (Franklin, Ribeiro, et al., 2017) found that the good news is that 50 years of research indicates that all of the characteristics (which are called risk factors) noted above, as well as hundreds of others, can predict suicidal thoughts and behaviors. The bad news is that all of these characteristics only predict slightly better than random guessing. If you guessed randomly, you could correctly predict future suicidal thoughts and behaviors with about 50% accuracy; no known risk factor predicts with much more than 60% accuracy. What do these surprising findings mean for suicide research, theory, and practice? First and most directly, these findings demonstrate that, from 1965-2014, science did not improve its ability to predict suicidal thoughts and behaviors. Predictive ability was similar to random guessing in 1965, and remained at this level through 2014. We found that this lack of improvement was largely due to a repetition in study methods: throughout the decades, nearly all studies tested risk factors in isolation, examined risk over long periods of time (~10 years on average), and focused on a small number of risk factor types (~80% of all risk factors were related to internalizing psychopathology, externalizing psychopathology, demographic factors, prior self-injurious thoughts or behaviors, or stressful life events). In other words, the same methods produced the same (low accuracy) results across 50 years and hundreds of studies. For clinical practice, this means that the risk factor lists put out by various government agencies and mental health foundations are rationally-derived rather than empirically-based. Second, these findings are consistent with evidence that the suicide rate has never meaningfully declined and has actually been rising since the year 2000. Poor prediction means that we have been unable to pick out the people who were most at-risk and connect them with treatment providers. Poor prediction also means a poor understanding of the processes that lead to suicidal thoughts and behaviors, which translates into a limited understanding of how to interrupt those processes to prevent suicidality. Because we could neither accurately identify those at risk nor understand how to mitigate that risk, the suicide rate has continued unabated for several decades. Third, these findings indicate that existing suicide theories vastly underestimate the complexity of the causes of suicidal thoughts and behaviors. All suicide theories attempt to provide causal explanations for how suicidality comes about. In our field, there are very few experimental studies, which are necessary for inferring causal relationships; longitudinal studies are the next best thing. Causal relationships are a special type of longitudinal relationship, meaning that a causal relationship can never be stronger than a general longitudinal relationship (and causal relationships are often far weaker). If a longitudinal relationship between a predictor and an outcome is weak, the causal relationship must also be weak (and may be non-existent). Because our meta-analysis found that the longitudinal relationships between all theory-related variables and suicide-related outcomes are weak, it means that all theory-related variables are (at best) weak causes of suicidality. This does not mean that all existing theories are completely wrong; rather, it means that all existing theories only account for a small sliver of the causal processes that generate suicidal thoughts and behaviors. So how can we advance beyond this point that we’ve been stuck at for several decades? In our view, we can advance if we fundamentally change our approach to suicide research and practice. In terms of understanding suicide, we recommend adopting an approach founded on INUS conditions (Mackie, 1965) rather than reductionism. All existing theories assume that suicidality can (and should) be reduced to one or a small handful of causal factors. However, the causal processes for most events – not just suicidality – are often far, far more complex. Most events do not have a singular cause or a small number of causes; instead, most events come about as the result of a large, indeterminate constellations of insufficient but non-redundant parts of unnecessary but sufficient conditions (i.e., INUS conditions; Mackie, 1965). We reason that any accurate suicide theory will need to be consistent with this INUS condition approach. Attempts at suicidality prediction must also be consistent with this INUS condition approach, which would suggest that suicidality can only be predicted accurately by combining hundreds of factors in a complex way. Recent evidence supports this view as machine learning algorithms that find the optimal combination of hundreds of factors can predict suicidal behavior with ~90% accuracy (e.g., Walsh, Ribeiro, & Franklin, in press). We believe that prevention approaches must also be predicated on this causal complexity assumption, with interventions attempting to target the most necessary and malleable INUS conditions and recognizing that these conditions will vary tremendously within and across people. In summary, the science of suicide is at an inflection point. Although the findings of our meta-analysis were disappointing, they point the way toward future progress. Why weren’t there improvements in the prediction of suicidal thoughts and behaviors from 1965-2014? Will humans ever be able to accurately predict suicide risk without the aid of machine learning algorithms or similar technologies? What does poor predictive accuracy imply about existing suicide theories? Do these same predictive limitations apply to other subfields of clinical psychology? Joseph C. Franklin, Ph.D. received his B.A. in psychology from Wake Forest University in 2005, went on to earn his Ph.D. in clinical psychology from the University of North Carolina at Chapel Hill in 2013, and completed a postdoctoral fellowship at Harvard University in 2015. He is currently an assistant professor in the Department of Psychology at Florida State University, where his research focuses on using new technological tools to stimulate large-scale reductions in psychopathology, especially self-injurious thoughts and behaviors. 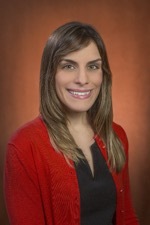 Jessica D. Ribeiro, PhD. earned her B.A. in psychology from the University of Pennsylvania in 2008 and her Ph.D. in clinical psychology from Florida State University in 2014. She completed an internship in clinical psychology at the Alpert Medical School of Brown University and postdoctoral fellowships at Harvard and Vanderbilt Universities. She is currently an assistant professor in the Department of Psychology at Florida State University. Her work focuses on developing and implementing scalable and highly accurate suicide risk detection methods. (Source Article) Franklin, J.C., Ribeiro, J.D., Fox, K.R., Kleiman, E.M., Bentley, K.H., Jaroszewski, A.C., Chang, B.P., & Nock, M.K. (2017). Risk factors for suicidal thoughts and behaviors: A meta-analysis of 50 years of research. 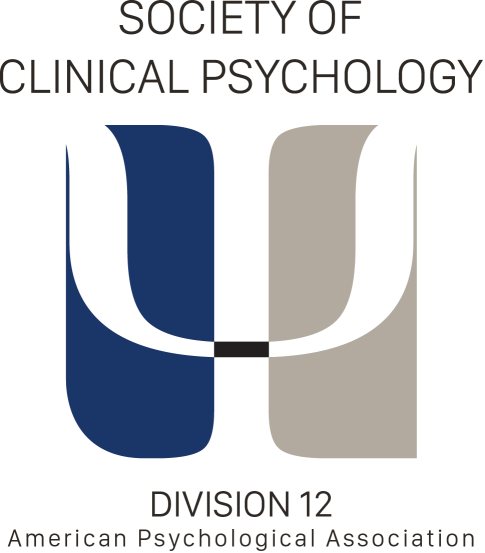 Psychological Bulletin, 143, 187-232. Mackie, J.L. (1965). Causes and conditions. American Philosophical Quarterly, 2, 245-264.